‘The Sun is not actually warm’ Pruit. Scott Pruit, incoming chief of the EPA shocked and stunned the world yesterday with the revelation that CO2 does not cause climate change. Single=handed and in his first week in office Pruit has solved what was the single biggest threat to humanity by simply making stuff up. Today he has gone on say that the sun isn’t actually warm. The heat we feel is some kind of chemical reaction between our skin and the air , although so far this new insight is not understood or indeed has not even been noticed by anyone else government officials assure us that this is indeed the case. Pruit brings a whole new approach to our understanding of the natural world, where previously scientists had thought that things were in some way connected and could be understood by observation, testing and data, now we know the folly of our ways. “If the sun isn’t actually warm, then how can heat from the sun be causing climate change?” concludes the new head of the Environmental Protection Agency. Up until this week the soaring co2 levels in the atmosphere, rising oceanic temperatures and melting ice caps pointed to the fact that the world had a terrifying problem of global warning due to fossil fuel burning and deforestation. However it seems all this ‘scientific’ evidence was just hysteria bought about my 1000’s of confused scientists still locked into 20th century superstition that empirical evidence and research is actually a sensible way to do science. “Scott Pruit is a hero!” Said environmentalist and permaculture teacher Steve Jones yesterday. Taking his insight and methods further I understand Pruit is soon to prove to us that water isn’t actually wet.. when we experience wetness in water it is actually fluids from within our bodies being sucked to the outside by some force that has not yet been observed or measured but Pruit assures us he feels this is the case. 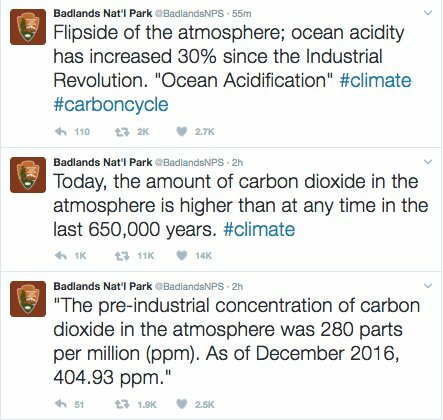 Once again his new approach has stunned the world showing just how pointless all this science and stuff has been, what a waste of time! Pruit’s revolutionary approach to solving the climate crisis now means the whole EPA can be dismantled as we realise that we have no responsibilities to the environment after all. Rachel Carson will be rolling in her grave, she must feel ashamed that she tried to trick us all into thinking that pesticides and pollution in some way matter. Her limited thinking has stood in the way of vast profits that could have been made by despoiling the environment even faster than we have, there are top executives and globalised firms out there that could have made even more billions of dollars they couldn’t possibly ever spend if those pesky eco-nuts hadn’t stopped them pillaging the planet. Even if it turns out that we haven’t quite got this right concludes Pruit.. We can always make more stuff up to prove it wasn’t our fault. This new approach to science by not requiring evidence or data is really going to speed up progress and save millions in pointless research and peer review of work says Pruit. It is a new era of enlightenment, think what other problems we can solve by simply ignoring them and pretending they are not real. 2- Week intensive courses in UK June/ Sept or 6 weekends Jan - March and much more! Turn your convictions into actions, be part of the solution! All donations will be used to subsidise the cost of course places for participants on low income. 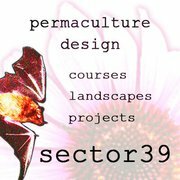 Copyright © 2019 Permaculture adventures in Sector39. Powered by WordPress. Theme: Accelerate by ThemeGrill.